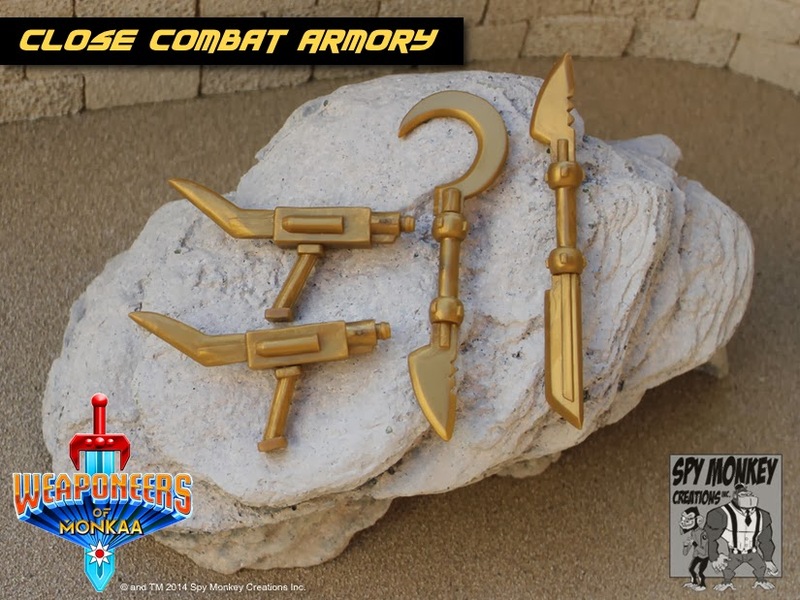 Here are the full details with photos of our upcoming release of the newest Weaponeers of Monkaa figures and accessories! The drop will occur on Friday 1/24 at 12pm pacific time. This exciting release includes figures and accessory packs as featured in the recent "THE GOLDEN AGE" storyline and will be available at the Spy Monkey Creations Store! This is a deluxe Weaponeer figure featuring additional paint details, a full set of bonus heads, sword and sickle weapon and bonus Vac Metal ABS Accessories! 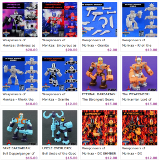 Each figure includes 33 Glyos System Compatible parts molded in Metallic Gold PVC and silver chrome ABS parts. This standard Weaponeer figure includes a full set of bonus heads and sword and sickle accessories. 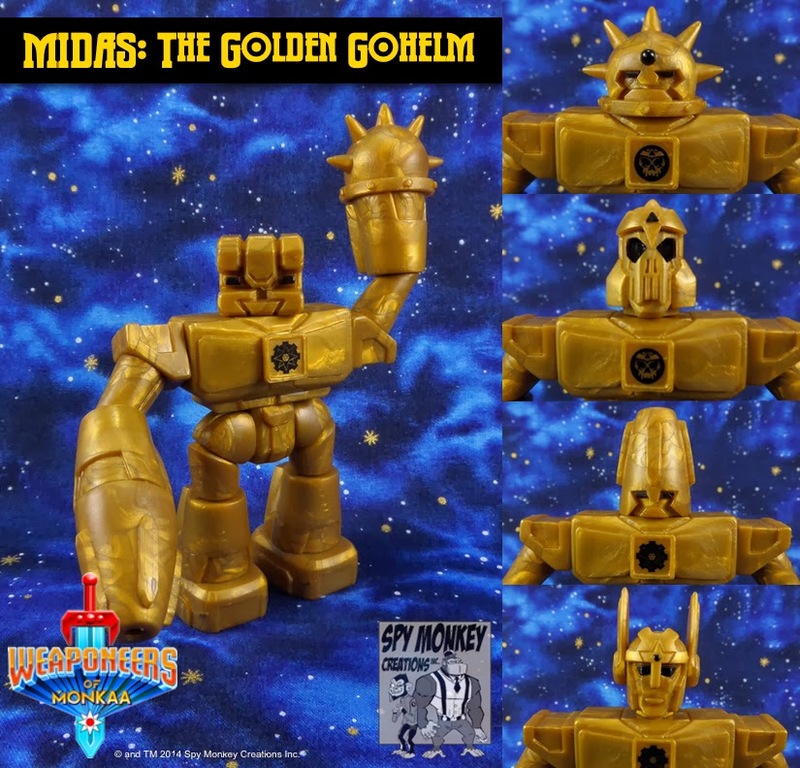 Each figure includes 31 Glyos System Compatible Metallic Gold PVC parts. This is a deluxe Weaponeer figure featuring additional paint details, a full set of bonus heads, sword and sickle weapon and bonus Vac Metal ABS Accessories! Each figure includes 36 Glyos System Compatible parts molded in Translucent Green PVC and silver chrome ABS parts. This standard Weaponeer figure includes a full set of bonus heads and sword and sickle accessories. 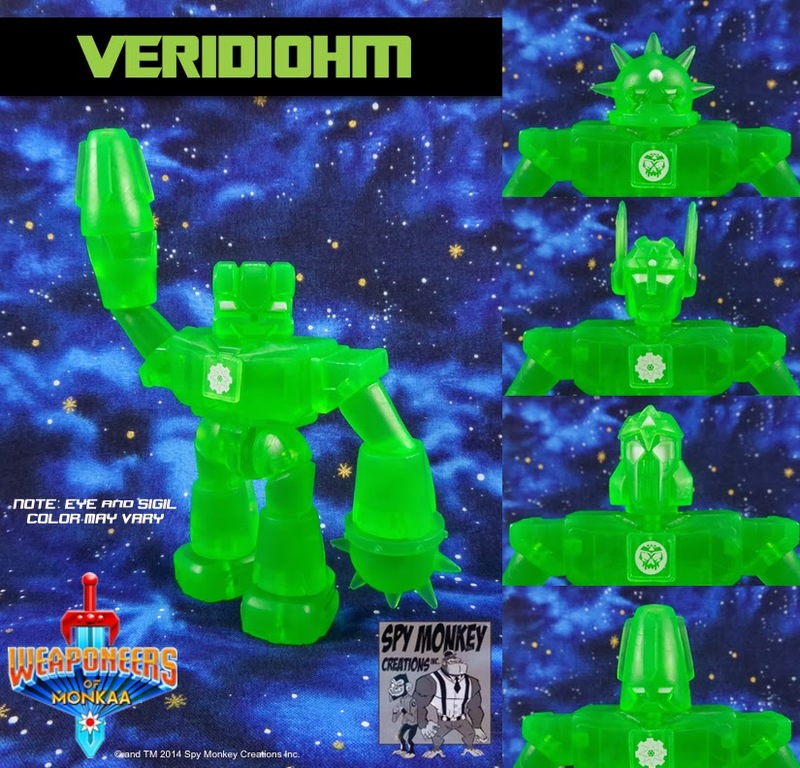 Each figure includes 31 Glyos System Compatible Translucent Green PVC parts. This deluxe Close Combat Armory includes a complete PVC Close Combat Armory in an alternate build plus bonus Vac Metal ABS parts! 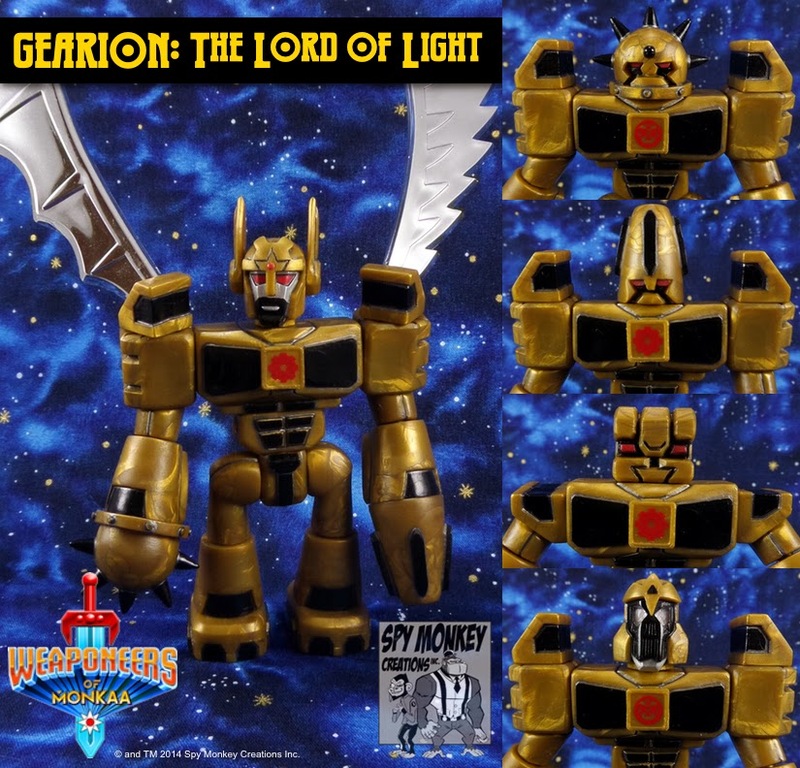 Each Set includes 17 Glyos System Compatible Metallic Gold PVC and silver chrome ABS parts. Compatible with all Weaponeers of Monkaa actions figures and other 6-7" action figure lines! 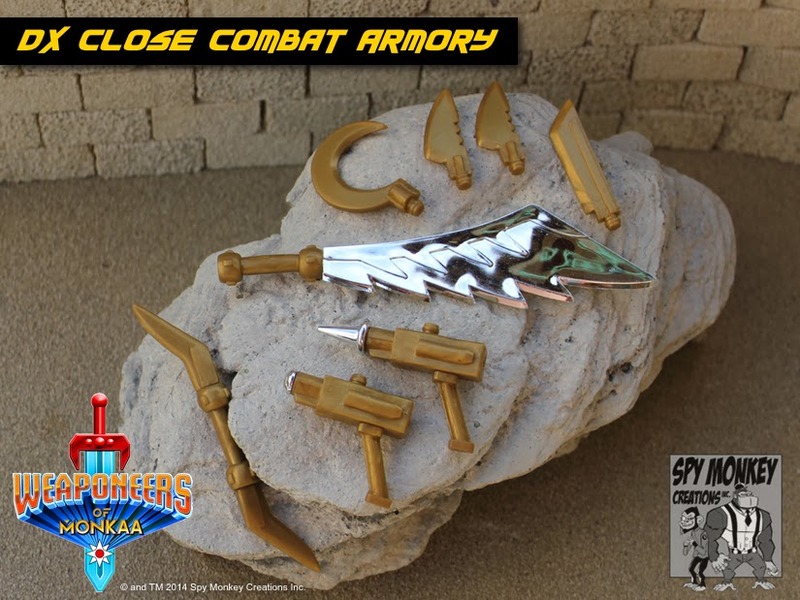 This standard Close Combat Armory ships un-assembled and includes 14 Glyos System Compatible Metallic Gold PVC parts. Compatible with all Weaponeers of Monkaa actions figures and other 6-7" action figure lines! 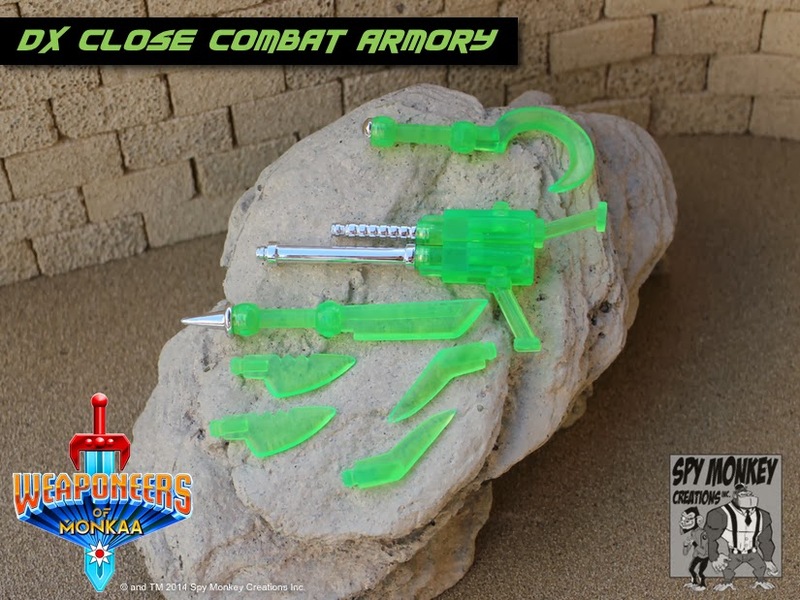 This deluxe Close Combat Armory includes a complete PVC Close Combat Armory in an alternate build plus bonus Vac Metal ABS parts! 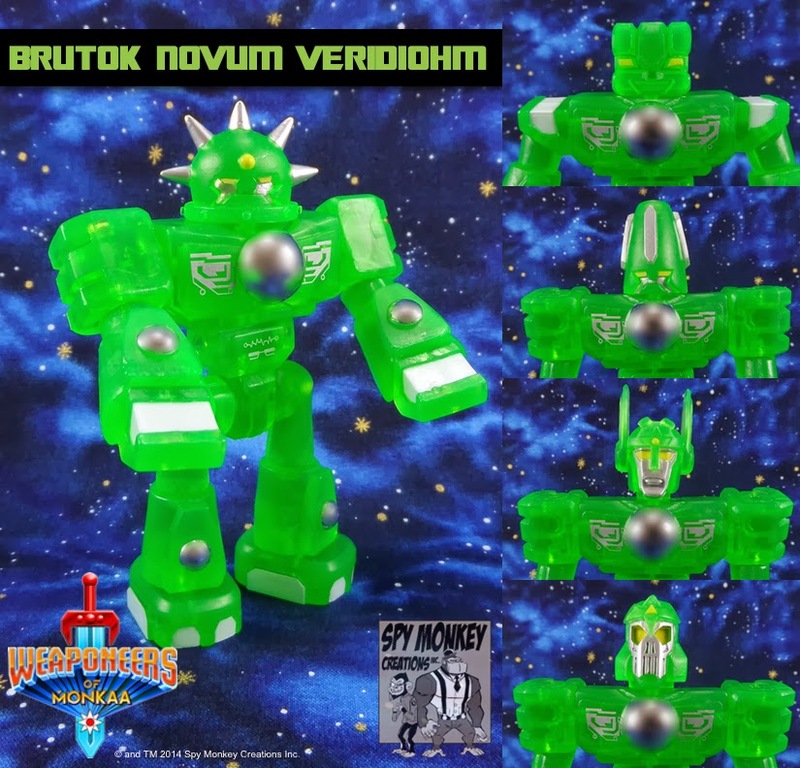 Each Set includes 18 Glyos System Compatible Translucent Green PVC and silver chrome ABS parts. Compatible with all Weaponeers of Monkaa actions figures and other 6-7" action figure lines! 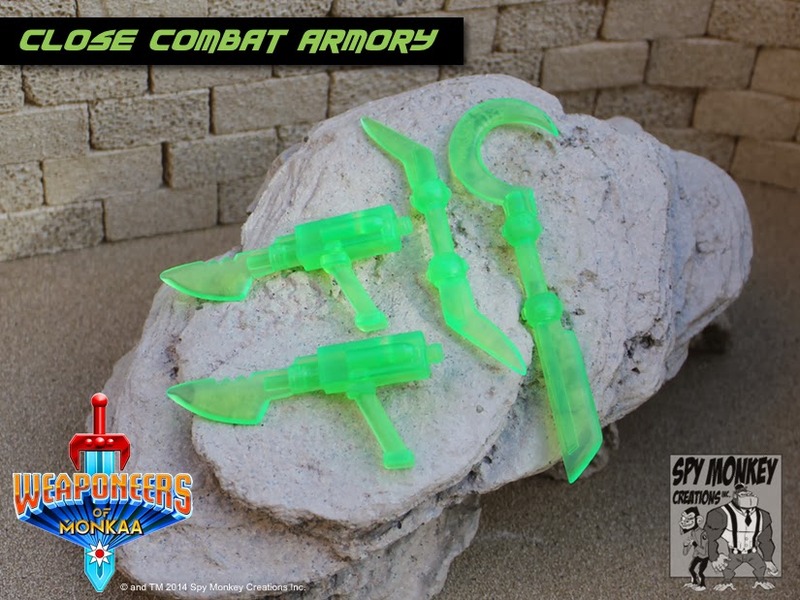 This standard Close Combat Armory ships un-assembled and includes 14 Glyos System Compatible Translucent Green PVC parts. Compatible with all Weaponeers of Monkaa actions figures and other 6-7" action figure lines! 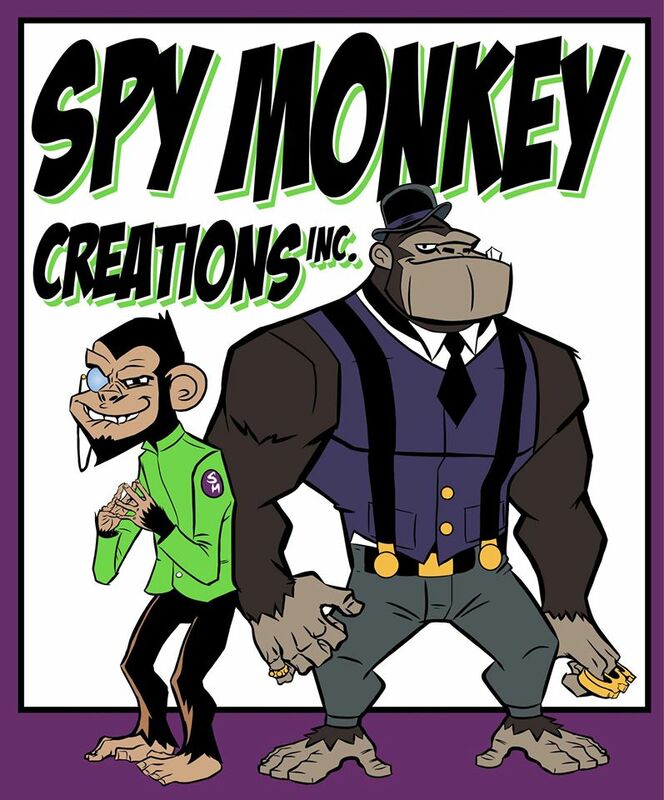 This is the first official crossover production piece between Spy Monkey Creations and Onell Design. 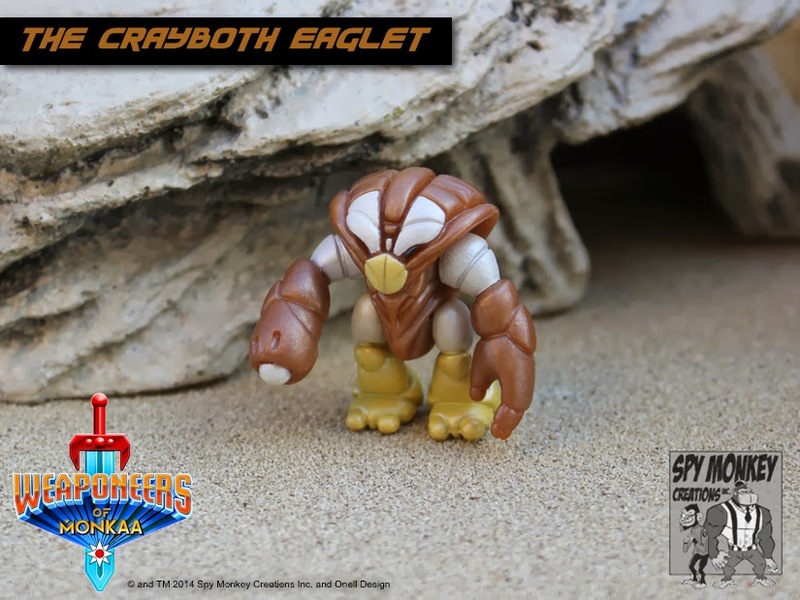 The Crayboth Eaglet! Featured prominently in "THE GOLDEN AGE" storyline. His story is just beginning! This figure includes 5 Glyos Compatible parts molded in Pearl Metallic Brown PVC with special Pearl Metallic paints.